Scientism is a term used to describe the universal applicability of the scientific method and approach, and the view that empirical science constitutes the most authoritative worldview or the most valuable part of human learning—to the exclusion of other viewpoints. 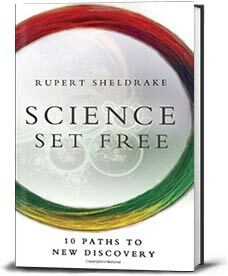 It has been defined as “the view that the characteristic inductive methods of the natural sciences are the only source of genuine factual knowledge and, in particular, that they alone can yield true knowledge about man and society”. The term “scientism” frequently implies a critique of the more extreme expressions of logical positivism and has been used by economists such as Friedrich Hayek, philosophers of science such as Karl Popper, and philosophers such as Hilary Putnam and Tzvetan Todorov to describe (for example) the dogmatic endorsement of scientific methodology and the reduction of all knowledge to only that which is measurable. Tom Sorellprovides this definition of scientism: “Scientism is a matter of putting too high a value on natural science in comparison with other branches of learning or culture.” Philosophers such as Alexander Rosenberg have also appropriated “scientism” as a name for the view that science is the only reliable source of knowledge. To indicate the improper usage of science or scientific claims. This usage applies equally in contexts where science might not apply, such as when the topic is perceived as beyond the scope of scientific inquiry, and in contexts where there is insufficient empirical evidence to justify a scientific conclusion. ncludes an excessive deference to claims made by scientists or an uncritical eagerness to accept any result described as scientific. This can be a counterargument to appeals to scientific authority. It can also address the attempt to apply “hard science” methodology and claims of certainty to the social sciences, which Friedrich Hayek described in The Counter-Revolution of Science (1952) as being impossible, because that methodology involves attempting to eliminate the “human factor”, while social sciences (including his own field of economics) center almost purely on human action. To refer to “the belief that the methods of natural science, or the categories and things recognized in natural science, form the only proper elements in any philosophical or other inquiry”, or that “science, and only science, describes the world as it is in itself, independent of perspective” with a concomitant “elimination of the psychological [and spiritual] dimensions of experience”. Until the nineteenth and even early twentieth century, it was common for scientists to have religious beliefs which guided their work. In the seventeenth century, the design argument reached its peak popularity and natural philosophers were convinced that science provided evidence for God’s providential creation. Natural philosopher Isaac Newton held strong, albeit unorthodox religious beliefs (Pfizenmaier 1997). By contrast, contemporary scientists have lower religiosity compared to the general population. There are vocal exceptions, such as the geneticist Francis Collins, erstwhile the leader of the Human Genome Project. His book The Language of God (2006) and the BioLogos Institute he founded advocate compatibility between science and Christianity. The radical philosophical implications of quantum physics, although they are still controversial, suggest that (1) objects are intimately interconnected, (2) the observer and the observed are interdependent, and (3) consciousness plays an active role in observation. These new implications of quantum physics have prompted some physicists to interpret modern physics from the perspective of mystical worldviews. From such a perspective, some conceptual problems and paradoxes of quantum physics can be resolved. However, while these interpretations may be compatible with the evidence of quantum physics, they have not been established by scientific evidence and remain controversial. by Lawrence LeShan. Allworth Press, 2003. 320 pp.$22.94. ISBN 978-1581152739.
, ﬁrst published in 1974, reads asif it were published this week. The premise of this classic remains relevant to contemporary parapsychologists and to those of other disciplinestaking part in the study of consciousness. LeShan describes his book as,“a story of adventure, as a search for the meaning of impossible events,”giving examples of anomalous perceptions from laboratory experiments,spontaneous cases, mediumistic cases, and from the psychotherapy settingwhich beg for a theory to explain them. This book describes his theory of the paranormal and the adventure of shaping this theory. LeShan interviewed serious sensitives who had a high frequency ofparanormal events in their lives. During the years of LeShan’s inquiry, itbecame clear that at the moment when paranormal information was acquired(when “telepathy” or “clairvoyance” or “precognition” was happening),sensitives were reacting to the world as if it were constructed and “worked”differently than what we normally believe it to be. At those moments theyused a different metaphysical structure of the world than our ordinary,everyday, metaphysical structure. LeShan identiﬁed two other groups, mystics and Einsteinian physicists,who reached the identical conclusion: that there are two ways of being inthe world, which LeShan calls the Sensory Reality for our usual way ofknowing, and the Clairvoyant Reality, independently described by thesegroups where information is gained other than through the senses, with aunity of subject and object and an experiential quality of deep wholeness.We get a chance to see this, almost intimately, by reading Eileen Garrett’ssessions with LeShan and in quotes from other sensitives, mystics, andphysicists, bringing the Clairvoyant Reality within our grasp. Out of these ﬁndings a theory of the paranormal emerged. This is based on the idea that each metaphysical system permits certain activitiesand events (which are “normal” when in the system) and does not permitother activities and events (which are therefore “paranormal” when you’rein it). In the everyday metaphysical system (the “Sensory Reality”), ESPis “paranormal.” In the other system (the Clairvoyant Reality”), ESP is“normal.” ESP-type events occur when an individual is relating to the worldas if its metaphysical structure were that of the Clairvoyant Reality.